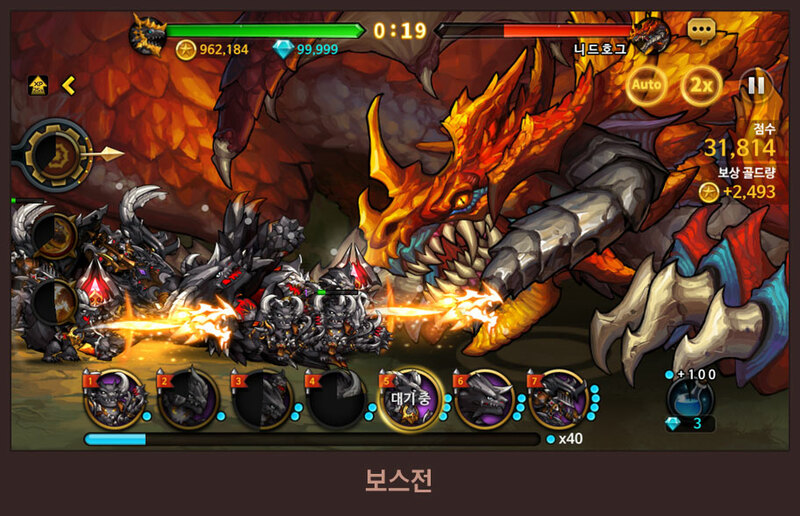 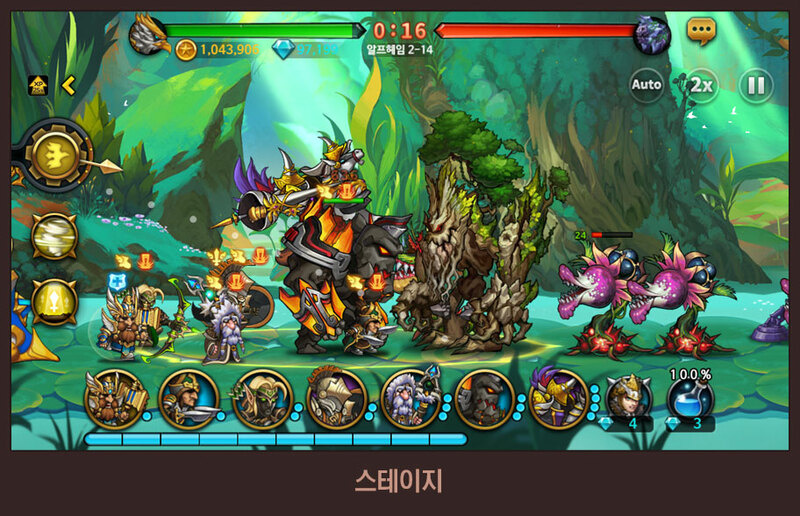 Eternal Clash is a mobile tower-defense RPG with action elements. 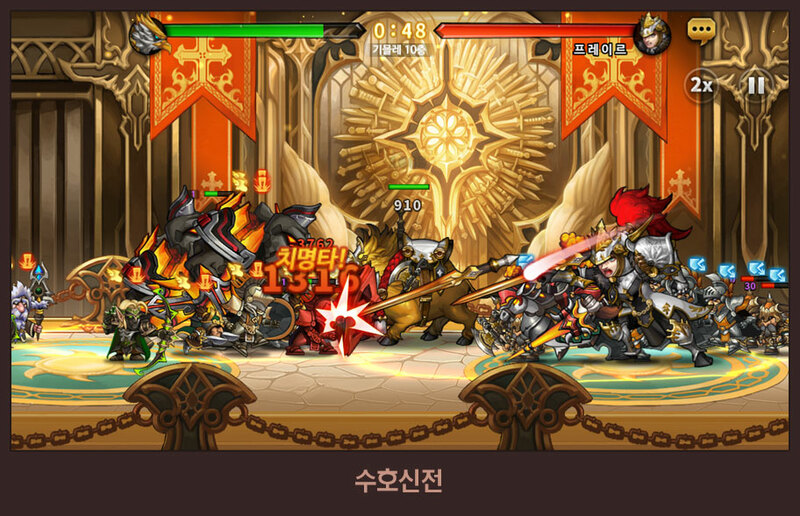 It is set for release in 2016; there is no English version currently available. 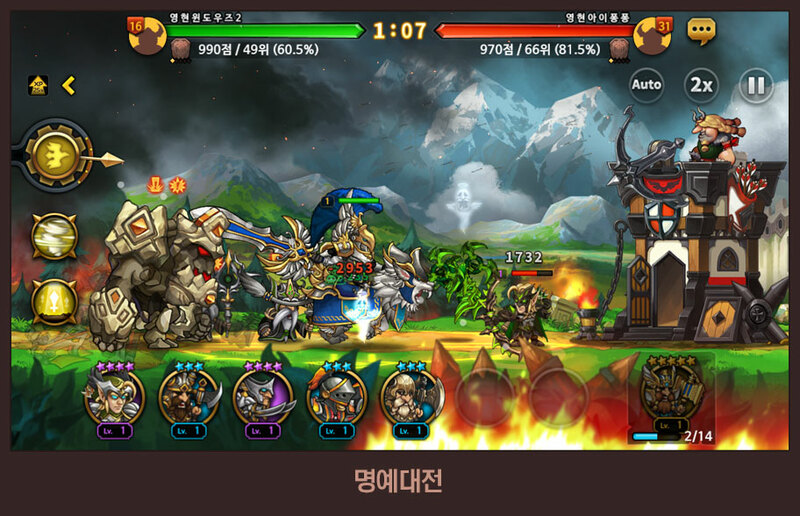 2D Side-Scrolling Action: Rather than just sitting and building towers, you can take your units into intense battles in a 2D style as you push and defend. 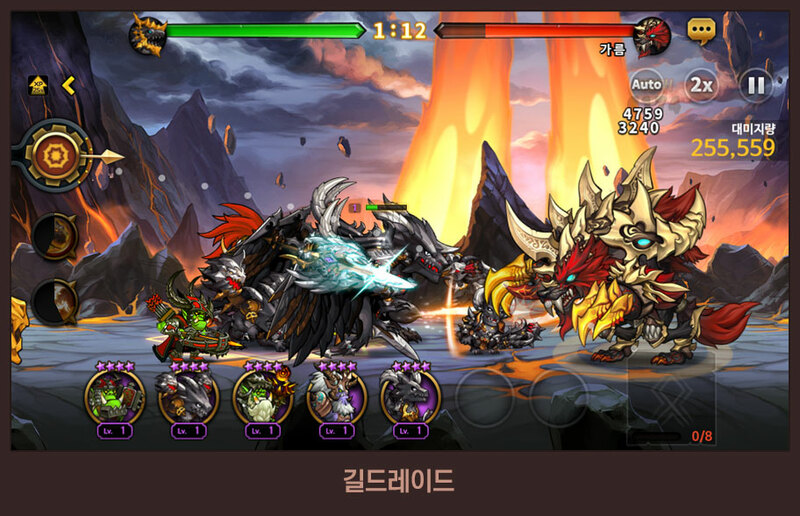 Multiple Heroes: Players can choose from a variety of heroes, each with their own strengths and abilities, to lead the charge. 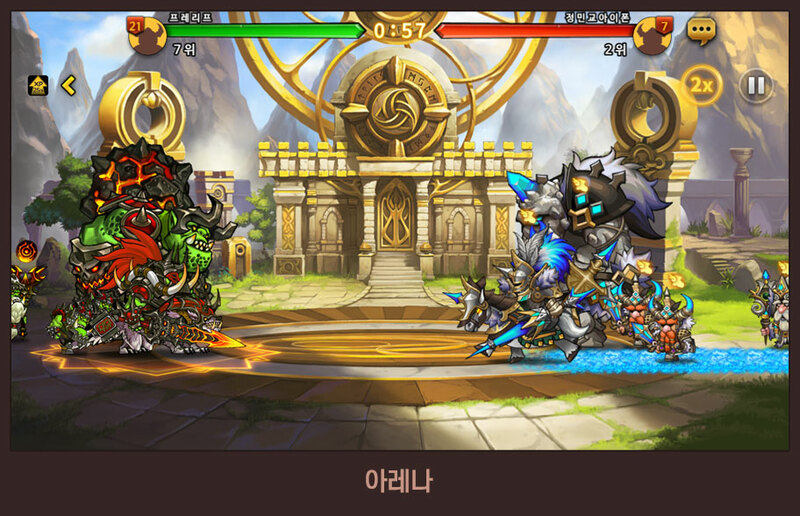 Battle Bosses, Summon Gods: Face against huge enemies and summon the power of the gods to smite them! 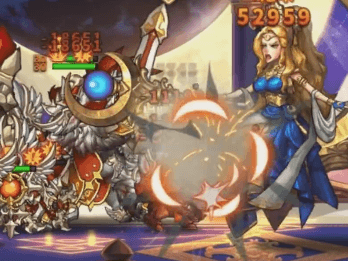 An official trailer for Eternal Clash, a mobile RPG blending action and tower defense.